Okra fusarium wilt is a likely culprit if you’ve noticed wilting okra plants, especially if the plants perk up when temperatures drop in evening. Your plants may not die, but the disease delays growth and decreases yields when harvest time rolls around. Read on for more information on fusarium wilt disease, and learn what you can do about okra with fusarium wilt. Okra with fusarium wilt disease causes a noticeable yellowing and wilting, often showing up on older, lower leaves first. However, wilt may occur on a single branch or an upper branch, or it may be limited to one side of the plant. As the fungus spreads, more leaves become yellow, frequently drying up and dropping from the plant. Fusarium wilt disease is most troublesome when temperatures are between 78 and 90 F. (25-33 C.), especially if soil is poorly drained. 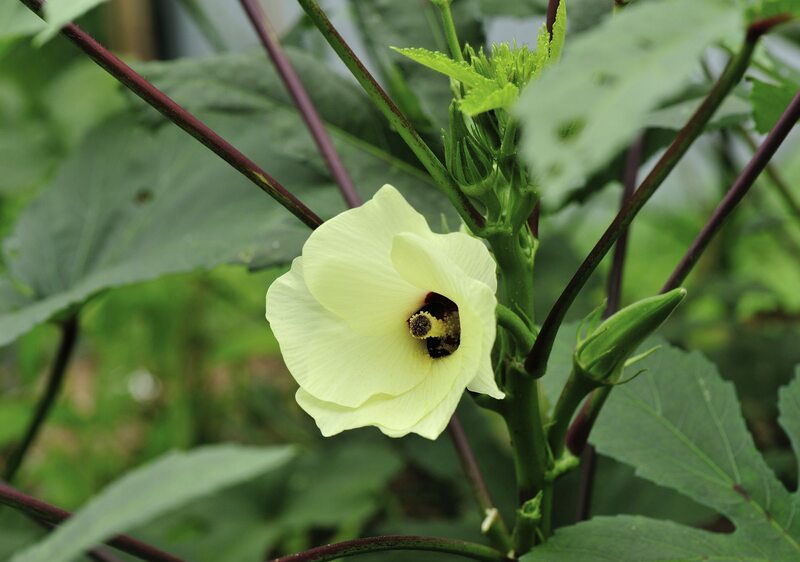 There are no chemical solutions for okra fusarium wilt, but there are steps you can take to minimize the infection. Plant disease-free seed or transplants. Look for varieties labeled VFN, which indicates the plant or seed is fusarium resistant. Older heirloom varieties have very little resistance. Remove infected plants as soon as you notice signs of fusarium wilt. Dispose of plant debris carefully in a landfill, or by burning. Practice crop rotation to reduce the level of disease in the soil. Plant okra in the same spot only once in four years. Check your soil’s pH level, which should be between 6.5 and 7.5. Your local cooperative extension office can help you determine the best ways of restoring proper pH.